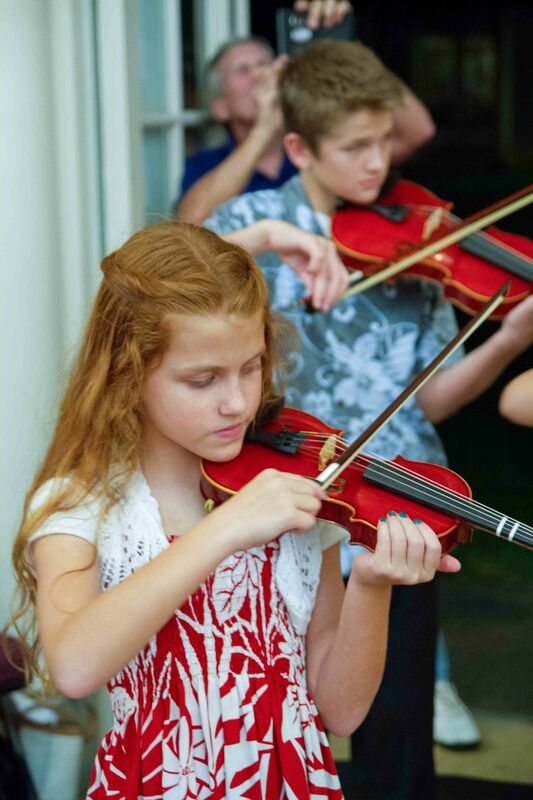 What does music mean to Trinity Christian School? Simply put, music is the lifeblood of our culture, the manifestation of a beautiful community, and our regular practice in worshiping Christ the King. We believe that a thorough study of music is vital to a child’s education and indispensable in the life of a Christian. All too often modern schools see no value in music or pushes it out of the curriculum as exclusively extra-curricular. We see music as a way to better understand the world around us, connect and form community with each other, and develop key habits of mind, body, and soul. At Trinity, all Grammar School students receive 1 hour a week of general music. Year to year, students are required to sing more challenging repertoire, eventually singing regularly in three-part harmony in sixth grade. Along the way, teachers unfold the canon of Western music, introducing great works and composers to eager listeners. 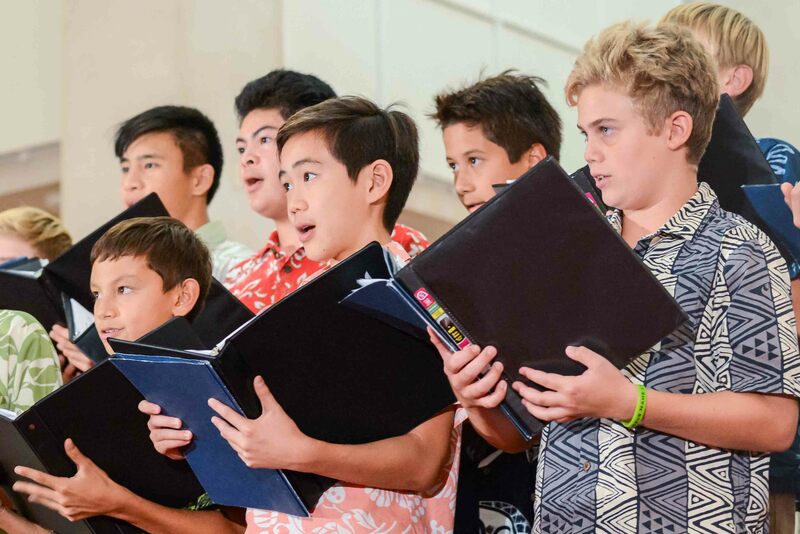 Once into the Secondary School (7th-12th grade), all students are expected to participate in weekly times of choral practice, joining in four-part harmony for worship and special events. In addition to singing, students may take two upper level Music Theory classes, diving into the nuts and bolts of music theory and 17th century part writing. In addition to our voice-based music curriculum, we have a growing instrument program called Malama: Trinity Conservatory of Music. In the coming years the conservatory will include string and brass instruments, eventually becoming a chamber orchestra in the Secondary School. So, while we take great pains to teach each student to sing well, we are committed to training instrumentalists who practice with joy and work hard. Music is woven tightly into the everyday life of each student at Trinity, from learning the 7 continents to mastering the intricacies of 17th century harmony, we listen, sing, and play to bring glory to our Maker, the one who sang the very universe into existence. TCS Christmas 2017 from WE Media Services on Vimeo.